Elon Musk's futuristic train system could revolutionize travel, but there's plenty of obstacles. 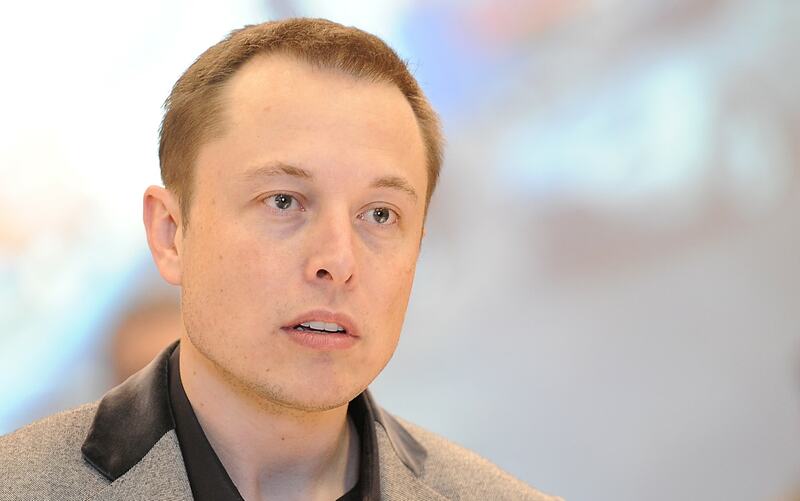 Elon Musk has a plan for humanity that covers clean energy, electric cars and spreading out amongst the stars. The billionaire also wants to do away with the tired and slow railways of the past in favor of pushing people around like parcels in a mail tube. That's what Hyperloop is: a series of vacuum tubes that'll enable travelers to get from A to B in minutes rather than hours. But Musk himself didn't have the time to develop the concept beyond his original idea, so in 2013 he open-sourced the project for anyone to have a go. Less than three years later, the first strides toward a global network of near-supersonic travel tubes are being taken. Remember those vacuum tube networks that businesses used to use to send papers across large buildings? 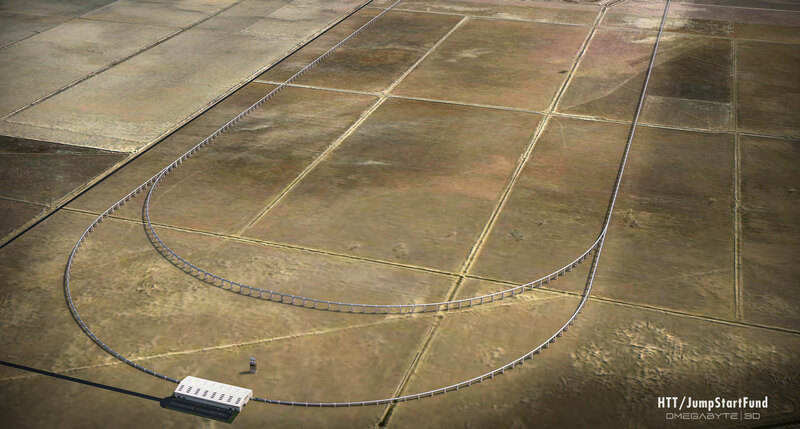 Hyperloop is basically that, but big enough to shoot people cross-country at amazing speeds. First, the tube is six feet wide, and is maintained as a low-pressure environment, though not a true vacuum. In order to prevent the passenger pod from touching the tube, it'll float slightly above it, either on a cushion of air or using magnetic levitation. Arx Pax, creator of the Hendo Hoverboard, is working to see if its magnetic field architecture technology is suitable for keeping Hyperloop friction-free. In many ways, Hyperloop is just a sort of maglev train. But because it doesn't have to deal with as much air resistance, top speeds are much higher. Hyperloop is expected to hit 750MPH, more than twice as fast as the Central Japan Railway's record-breaking 366MPH speed run. California's $70 billion high-speed rail project looks positively tortoiselike when you realize that it'll only reach speeds of "over" 200MPH. If a network of Hyperloop tubes were built across the United States, it would effectively eliminate the domestic short-haul airline industry. For example, if you want to get from New York to Washington, DC, it'll take you just under three hours on Amtrak's Acela Express -- which is what passes for high-speed rail in the US. You could also take a flight, which would take an hour and 15 minutes, plus the time spent at security, the gate, and baggage claim. That same journey with Hyperloop is expected to take just half an hour. It was the amount of money thrown at California's high-speed railway project that prompted Musk to launch the Hyperloop idea. He felt that the technology was outdated, the costs too high and the speed insufficient for a modern, 21st-century transport system. In his original outline, Hyperloop would be cheaper for several reasons, including the fact that governments wouldn't need to purchase land to make it happen. Instead, it would be held in the air by a series of pylons so small that they could sit in the median strip of a major highway. Construction would be quick and cheap, too, since the pipes could be fabricated elsewhere and just welded into place when they were delivered. Hyperloop isn't just about making sure business types can get between meetings faster than everyone else, either. A huge cause of congestion on roads is freight traffic -- eighteen-wheelers carrying cargo containers from ports to warehouses. Los Angeles Port is one of the largest points of entry for containers into the United States, and much of that is taken east by road. Imagine if, instead, containers were pushed via Hyperloop to a new logistics center in Nevada; it would cut thousands of road journeys each year. Yup, Hyperloop could even do something to reduce LA's notoriously awful traffic. Musk's open-sourcing of the idea meant that anyone who wanted to have a go could try and build their own futuristic transport system. Very quickly, two Los Angeles–based players emerged, ready for the challenge and going by infuriatingly similar names: Hyperloop Transportation Technologies and its main rival, Hyperloop Technologies. But while their names are similar, almost nothing else about them is. In fact, when someone comes along wanting to write a David and Goliath movie about Hyperloop, they'll find it remarkably easy. Hyperloop Transportation Technologies (HTT) is a crowdsourced engineering project led by German entrepreneur Dirk Ahlborn. When people think about involving the "crowd" in an enterprise, it's normally in the hope of gaining their money -- but not here. Instead, scientists and engineers have agreed to donate their time and expertise, collaborating with one another online to refine the Hyperloop technology. You might think that HTT is staffed entirely by amateurs. But last year, Ahlborn assured Engadget that the bulk of his team members have day jobs at legitimate science and engineering outfits like Tesla, SpaceX and NASA. Each person who gets involved is rewarded with the promise of stock options in whatever corporate entity is formed in the future. Ahlborn doesn't believe that they're doing it for the promise of cash, but give their time in the hope of making a difference. Quay Valley is a "new town" that's being cooked up by GROW Projects, an LA-based company that develops environmental projects. Located halfway between San Francisco and LA, Quay Valley is slated to run entirely on renewable, sustainable technology and house 75,000 people by the early 2020s. The project has stalled several times, but GROW Projects signed a deal with HTT to host a five-mile test loop that would encircle the community. This would be used as a proving ground to refine the technology, as well as convey residents from one end of the city to the other in just 80 seconds. Hyperloop Transportation Technologies filed permits with the local Kings County authorities on January 20th. If it's granted permission to begin construction and everything goes according to plan (and that's a big if), HTT will open the facility to passengers by 2018. Then again, there's still no word on when Quay Valley will begin construction, and right now the green city of the future is reminding us a bit of Florida's Babcock Ranch, which has also foundered. If HTT is the scrappy underdog relying on the goodwill of its engineers, then Hyperloop Technologies is the blue chip alternative. Its co-founder Shervin Pishevar is a venture capitalist with stakes in firms like Uber, AirBnB and Warby Parker. His wealth is estimated to be in the high hundred millions or low billions. Pishevar is also friends with Elon Musk and knew about the Hyperloop concept before it was made public. 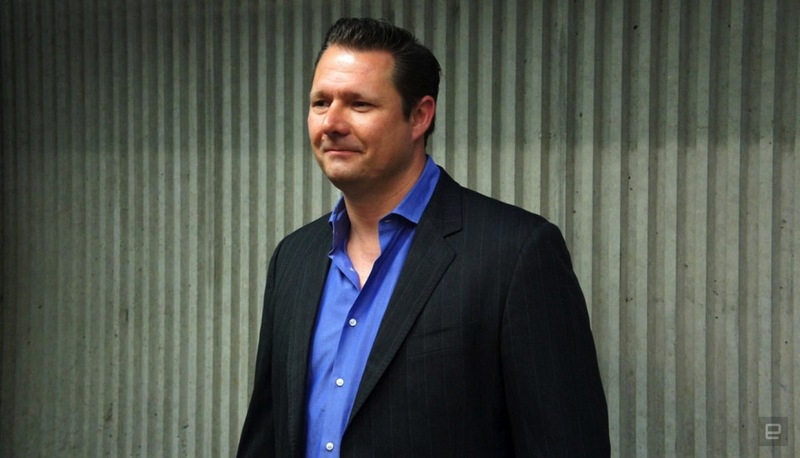 HT's other co-founder is Kevin Brogan -- now known as Brogan BamBrogan -- who leads the engineering side of the enterprise. Brogan was a key figure at SpaceX and is responsible for designing the Falcon 1 rocket as well as the Dragon spacecraft. Late last year, the company also recruited another industry heavyweight in the form of ex-Cisco president Rob Lloyd, who became the new CEO. 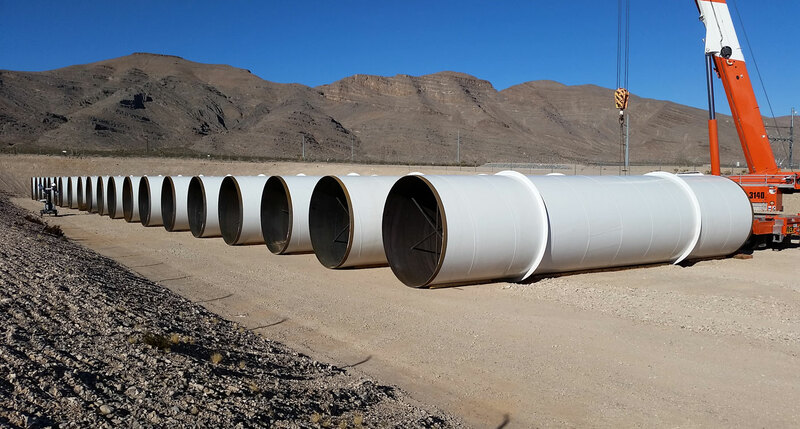 Hyperloop Technologies is building its first test facility at the Apex Industrial Park in the City of North Las Vegas, Nevada. The company has already broken ground on the location and is expected to begin testing inside a two-mile tube by the end of this year. Elon Musk has no interest in building a Hyperloop himself, but SpaceX will act as a sort of evangelist to help push the idea along. 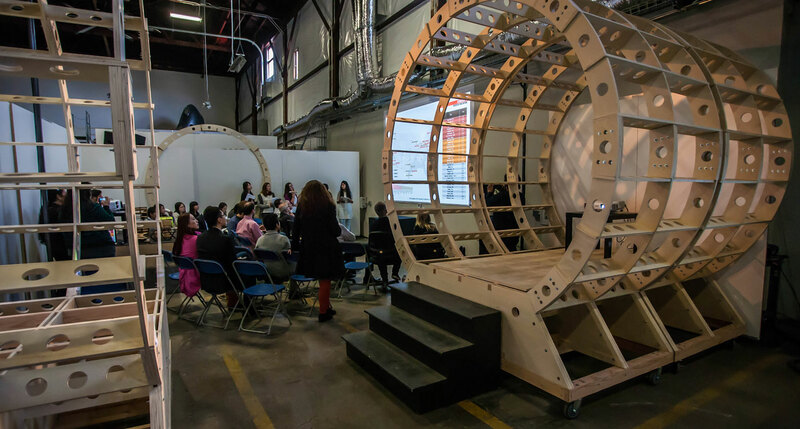 The company is co-sponsoring a pod design competition that'll see teams from colleges all around the world build the ultimate passenger capsule. It's also rumored that Musk had a large proportion of his engineers working to refine the Hyperloop concept before he made it public. 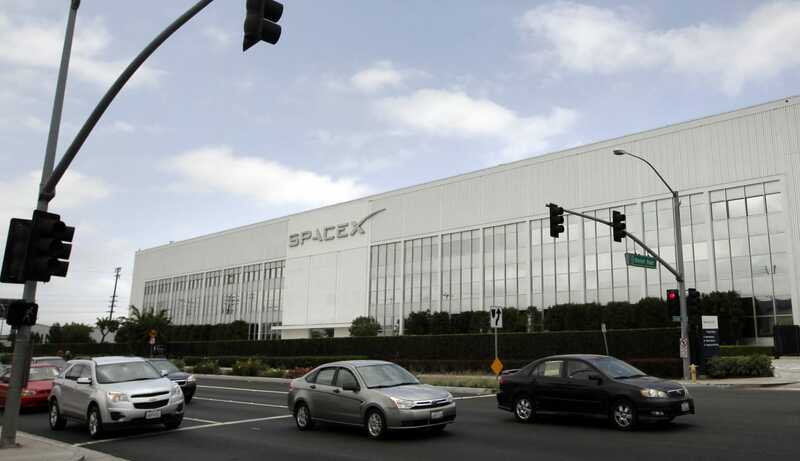 SpaceX has pledged to build a one-mile test track close to its HQ in Hawthorne, California, where winners of the pod design competition can test their ideas. The firm has recruited AECOM to build the facility, and construction is expected to begin this spring. The company has always said that the loop will be built next to its headquarters, but that part of LA is heavily developed. It's not clear, at least for now, where exactly there's sufficient space. Elon Musk's original white paper spoke disdainfully of California's high-speed rail project, which is expected to cost $70 billion. His feeling was that a smaller, lighter, nimbler Hyperloop would cost less. Of course, the sums involved are still eye-watering. Musk's essay on the technology makes it plain: "Several billion is a low number when compared with the tens of billions proposed for the track of the California rail project." 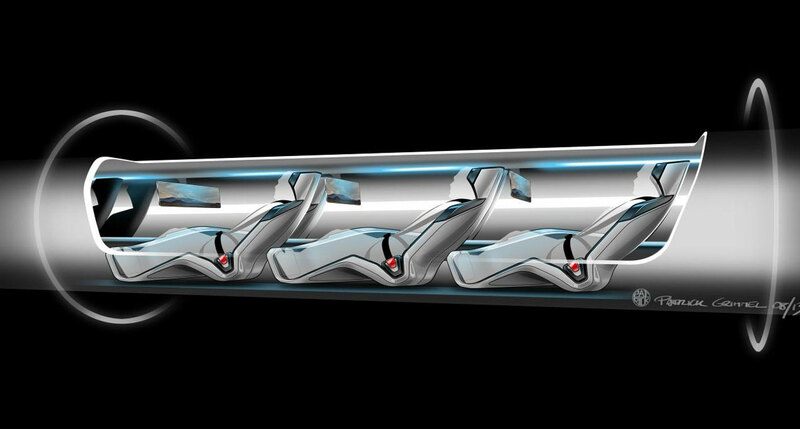 Unfortunately, nobody's yet able, or willing, to put a price tag on a real-world Hyperloop. Then there's the question of who is expected to pick up the bill, since private finance rarely puts in cash for big infrastructure projects without the public's help. Hyperloop Technologies has the backing of some of the wealthiest people in the world, and could bankroll this itself. Hyperloop Transportation Technologies doesn't have the same deep pockets, but it's hoping investors will step up to finance a test track at Quay Valley. If these firms struggle to keep the cash flowing, then help may have to come from governments, which may not be willing to subsidize an untested system. 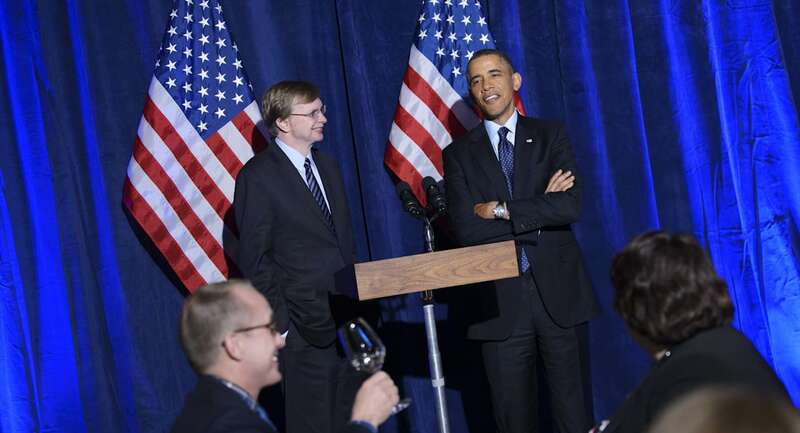 If Hyperloop does become entangled in the political process, HT has an ace up its sleeve: Jim Messina (pictured, left). Messina was the deputy chief of staff in the Obama White House between 2009 and 2011 and was a key adviser in Obama's 2012 re-election campaign. Messina is likely to be involved with Hillary Clinton's election campaign this year, and also has ties to the prime ministers of the UK and Italy. If you're working on an experimental but potentially world-changing piece of technology, it helps if you have the ears of some of the most powerful people in the world. But while Messina's involvement may be a blessing, it could also be a curse that'll set back Hyperloop development. His backing of the UK's Conservative Party likely guarantees that the technology will never be adopted in that country. The party is pursuing a policy of de-funding public infrastructure and has no interest in upgrading its transport system -- meaning that there's no money for a Hyperloop. It's going to be interesting to see what the experience of Hyperloop will be like from the perspective of its passengers. Many of the early concept drawings show windowed pods flying through transparent tubes, but the tubes are likely to be all metal. That means that pods will be similarly enclosed, and it's not clear how that'll affect people who suffer from motion sickness. Dirk Ahlborn has said that it's likely there will be displays inside each pod simulating the journey, tricking people's eyes into thinking that they're in a car. There should be no physical side effects beyond this, since Hyperloop will travel faster than your average jumbo jet, but slower than craft like the Concorde. Hyperloop Technologies is pledging to have its first working loop by the end of 2016, while HTT is promising that its version will be ready in 2017. SpaceX is planning to have its shorter test loop completed by this summer, to help engineers refine designs for the transport pods. 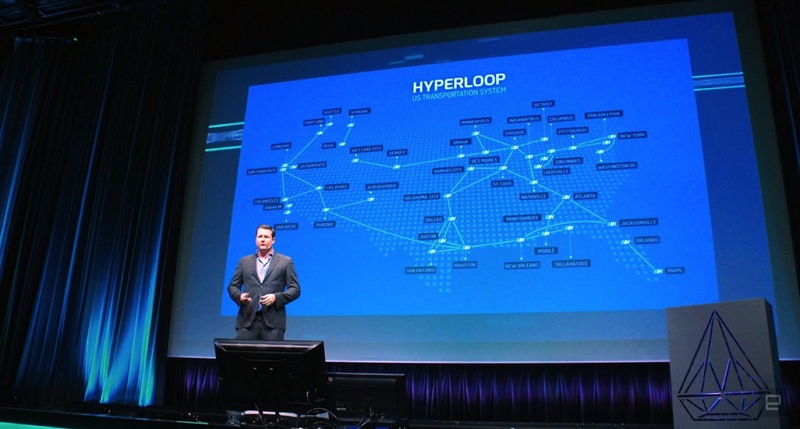 Both HT and HTT claim they'll have passenger-ready Hyperloops by the end of the decade. Given that the concept was unveiled only in 2013, that would be a staggeringly fast turnaround. If everything goes according to plan, we'll be shooting people across cities in futuristic vacuum tubes long before Google can get its first self-driving electric cars in consumer driveways.